The entries in principle for the inaugural FEI Reining World Final, which will be held in exactly one month’s time on 21 May 2011 at the renowned equestrian facility of Bökeberg, just outside of Malmö (SWE), are the strongest in the sport’s history. Reiners from 20 nations will be vying for the coveted title of FEI Reining World Champion and the US$ 100,000 prize pot. The nations intending to field athletes are Australia, Austria, Belgium, Canada, Czech Republic, Denmark, Dominican Republic, France, Germany, Great Britain, Israel, Italy, The Netherlands, Norway, Poland, South Africa, Spain, Sweden, Switzerland, and the USA. The definite entries will be announced on 18 May 2011. 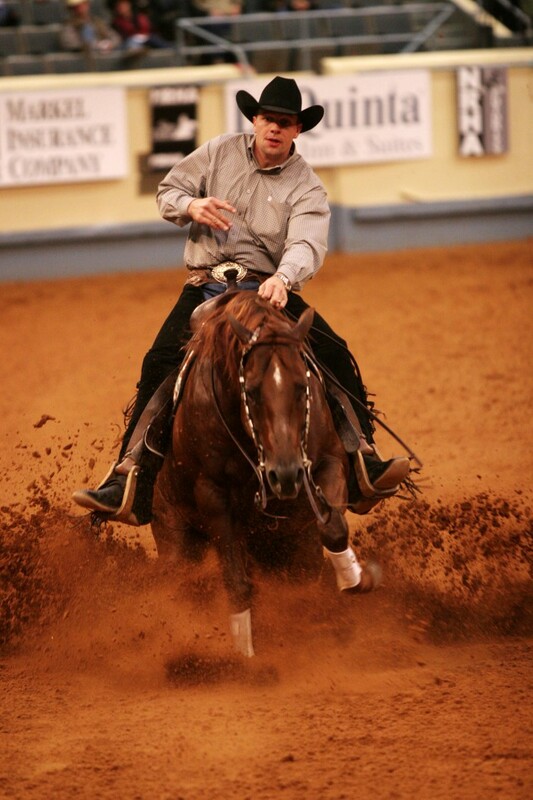 The FEI Reining World Final is the new-look FEI World Reining Masters. It will be the first time since 2005 that this annual individual final will be held outside North America. Reining became an FEI discipline in 2000. It is designed to show the athletic ability of a ranch type horse in the confines of a show arena. Contestants are required to run one of ten approved patterns, divided into seven or eight manoeuvres, including small slow circles, large fast circles, flying lead changes, 360 degree spins done in place, and the exciting sliding stops that are the hall mark of the reining horse. Despite the seemingly relaxed attitude of both horse and rider and the loose reins typical of the discipline, Reining is a high level competition sport requiring concentration and high riding competence. The incredible success of the sport, which is now practiced in more than 40 countries on six continents, at the Alltech FEI World Equestrian Games™ 2010 gave Reining significant momentum for continued growth. For additional information on the 2011 World Reining Final is available on the event’s official website www.Malmo2011.com and includes information on schedules, competitor resources, hotels, facilities, tickets and much more.